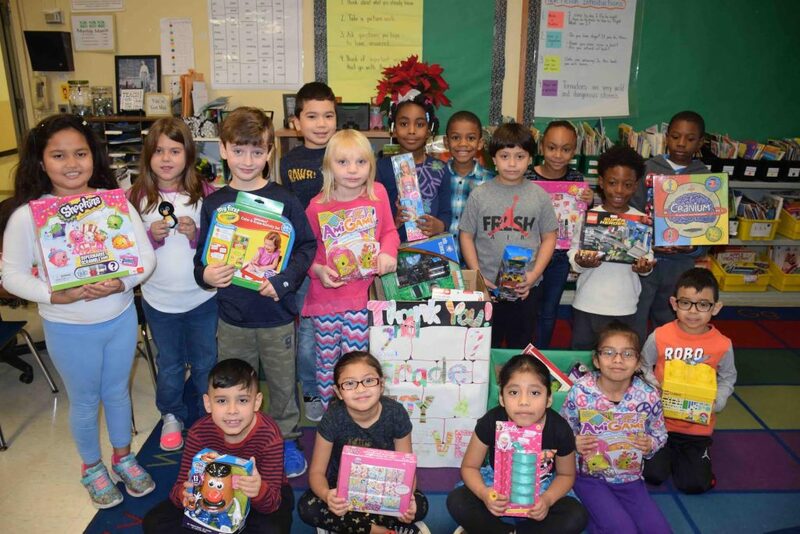 To do their part to bring the spirit of the holidays to hospitalized children, second-graders at Roanoke Avenue Elementary School in the Riverhead Central School District collected boxes of toys for Stony Brook Children’s Hospital. To promote the drive, the students made posters and spoke to school staff, family and friends about offering toy donations. The annual toy drive is spearheaded by second-grade teacher Debra Spinelli. Photo caption: Students at Roanoke Avenue Elementary School have been working to collect toys for community members in need during the holiday season. Pictured are second-graders in Ms. Debra Spinelli’s class with some of the donations they received.